One potent sexual biohack you & your partner will love. Why regular maintenance is essential for men. How to give your or your partner's package a much-needed tune-up. GAINSWave is a safe, comfortable treatment that utilizes sound waves to optimize sexual performance and reverse the effects of ED. GAINSWave effects have been medically proven to last 2-3 years. 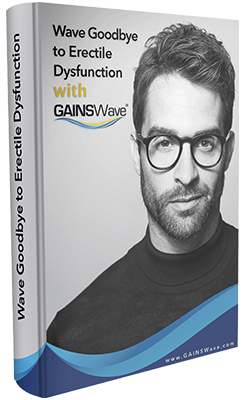 Is GAINSWave only available for men with ED?